Your evening chit-chats with family and friends become all the more enjoyable when accompanied with tasty snacks to much on. But if you are not a seasoned cook, you also probably don’t have a lot of evening snack ideas to try out. In that case, you can take help of the internet. Internet is one of the best culinary information sources available these days. With innumerable recipes and cooking tips, they have the potential to turn you into a culinary expert. So, if your friends are coming over for an evening meet up, you can serve them with any of the amazing evening snack recipes available online. 1. 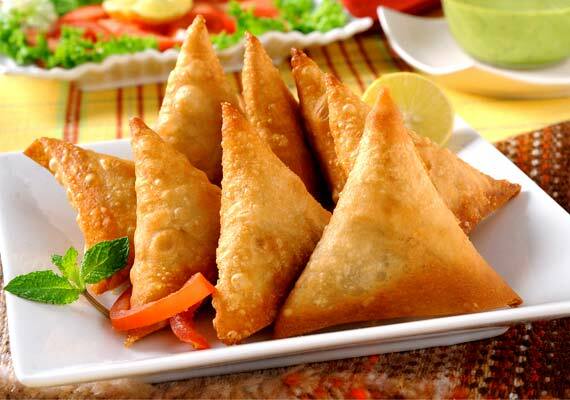 Samosa- Samosa is one of the most common yet extremely delicious evening snack recipes popular in India. Interestingly, its popularity is not restricted to India alone. Even people from many other parts of the world know about it, and don’t fail to try it out when in India. Samosas are a stuffed snack item with a dough covering on the outside. The stuffing consists mainly of potatoes, but other ingredients such as peas, peanuts, and certain other nuts may also be present. Although, they are not that easy to prepare, they come out really well when prepared following the right procedure. You can find samosa recipes easily online. And with videos available, you can also see cooks prepare them in the right manner. 2. Kachori- kachoris may be considered the second most popular snack item in India. Like samosas, kachoris also come with a stuffing consisting mainly of ground and fried lentils or vegetables. One of the most popular varieties of kachori is known as pyaji kachori. It’s an extremely flavourful food item and comes stuffed with onions fried with different spices. Other varieties such as raj kachoris are also equally liked across ages. 3. Bread pakoras- Bread pakoras, although not an authentic Indian dish, are extremely filling and taste amazing. They are basically a kind of bread sandwich made with a stuffing sandwiched between two pieces of breads. The breads, one stacked over the other with the filling inside, are then wrapped in a batter of gram flour and deep fried in oil. With a variety of stuffing options available, you can bring variations in the taste of this snack item. 4. Dahi vada- The first interesting aspect to it is that it may be found in a variety of versions across the country. The North Indian and south Indian ways of cooking dahi vadas are glaringly different. Nevertheless, this concoction of vadas (deep fried balls made of ground pulses) and dahi or curd, tastes out-of-the-world. With these amazing evening snack options at your disposal, you are sure going to pep up those evening conversations with your family and friends.